To empower, support and strengthen young people. 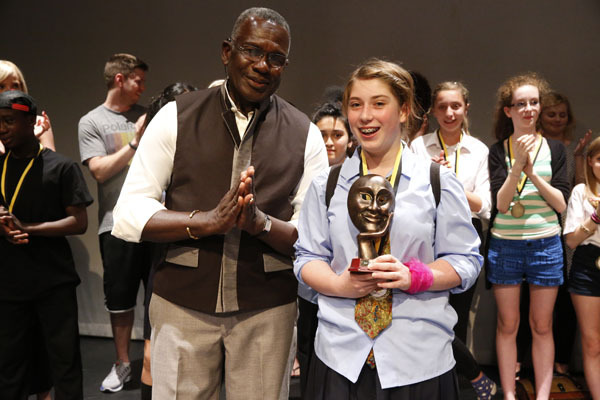 Our supporters are not only the life blood for The Rudolph Walker Foundation (RWF) as an organisation but the back bone to enable our young people to stand with pride and help them to get the best out of life. We are looking for individuals, companies or organisations to help us celebrate our young people in London and across the country by supporting and sharing our vision of RWF and its initiatives. There are many other ways to help to support the RWF, RWRMA and RWiSDA’s including sponsorship, donations, prize donations, website/programme advertising or by offering your services, catering, volunteering, marketing materials. We are dedicated to ensure that all proceeds go to keeping the RWF’s objectives and aims for the young people of today. We value all support given and no contribution is too small!! Your contribution to RWiSDA is essential in helping us reach our goals of making a difference in the lives of many young people. Proceeds remain under the strict financial control of RWiSDA until expended directly onto assisting the young people. The RWiSDA team would like to sincerely thank all donors for their generous donations. At the same time, the team expresses its gratitude towards all the individuals who help RWiSDA by gracefully volunteering their time, valuable expertise and helpful introductions. With the help of each one of you, RWISDA is empowered each day!